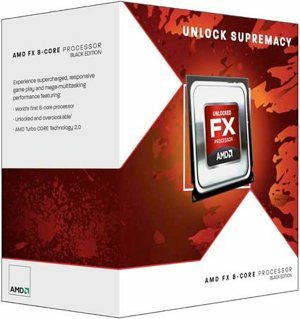 Still trying to cope with the disappointment of AMD's latest CPU architecture? A new hotfix from Microsoft might dull the pain. The software giant admits that its operating systems are hindering Bulldozer's performance and has released an update for Windows 7 and Server 2008 R2 users that should improve the situation. Current versions of Windows 7 and Server 2008 R2 are inefficient at handling Simultaneous Multithreading (SMT). Naturally, this update introduces the necessary optimizations. The support page repeatedly notes that the hotfix will allow Bulldozer chips to unleash their full potential, but there's no indication on how much more performance you'll see. We wouldn't get too excited about it though. Windows 8 is more efficient at handling SMT scheduling and based on reports we've seen, Bulldozer performs about 10% quicker in the Windows 8 Developer Preview. Although we haven't run any tests yet (and there's probably no reason to), users are reporting a situational 1% to 10% boost. Unfortunately, that's probably not enough to mend Bulldozer's tainted first impression, nor would we expect it to sway many purchasing decisions. Nonetheless, those already invested in the platform can enjoy a mild improvement. Installing the update sounds pretty straightforward. Make sure you're running the first service pack for the aforementioned Windows operating system and request the appropriate 32 or 64-bit version of the hotfix here. Feel free to share your performance results in the comments. As a side note, we should mention that Microsoft has also unloaded a fresh round of Windows updates earlier this week. December's Patch Tuesday addresses 17 bugs via 13 security bulletins, three of which are deemed critical as they could allow remote code execution. One of the bulletins (MS11-087) resolves a publicly disclosed vulnerability in Windows's TrueType font-parsing engine. Windows Server 2003, Vista, 7, Server 2008, Server 2008 R2, Internet Explorer 6-9, and most versions of Office received fixes.